Bruton has been appointed Minister for Communications, Climate Action & Environment, replacing Denis Naughten. Joe McHugh, the new Minister for Education and Skills. 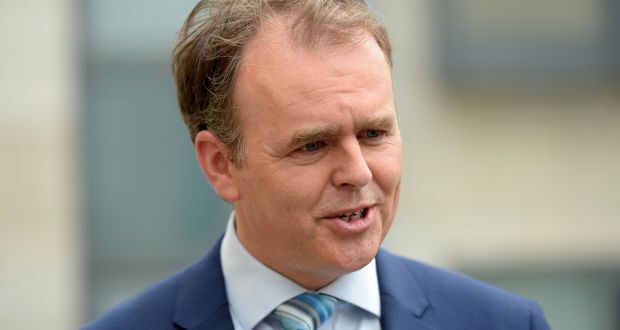 Joe McHugh has been appointed Minister for Education and Skills, replacing Richard Bruton, as part of a series of ministerial changes made in the wake of the resignation of Denis Naughten. Taoiseach Leo Varadkar today announced that Bruton would replace Naughten, who resigned after he became embroiled in controversy over meetings held with the leading bidder for the National Broadband Plan while the public procurement process was ongoing. McHugh, who until now served as Minister of State at the Department of the Taoiseach and Minister of State for Gaeilge, the Gaeltacht and the Islands, will now take over Bruton’s role of Minister for Education. McHugh is a Donegal TD and his appointment to Minister of State for Gaeilge, the Gaeltacht and the Islands was met with scrutiny over his Irish language skills. In 2016, he was criticised for the disproportionate allocation of funds to the Gaeltacht in his own constituency. Bruton served as Minister for Education for over two years, overseeing third-level education at a time of ongoing indecision over a future funding model. In 2016, the Cassells report made three recommendations for the funding of the sector: the abolition of the student contribution and the creation of a predominantly state-funded system, the continuation of the current student contribution charge coupled with increased state investment, and the introduction of an income-contingent loan system. Since then, the Oireachtas Education and Skills Committee, chaired by Fianna Fáil’s Fiona O’Loughlin, has been considering all of these options and has failed to reach any consensus, leaving third-level institutions in limbo, starved of the funding they need. Bruton has consistently spoken about his ambition for Ireland to have the best education system in Europe by 2026.